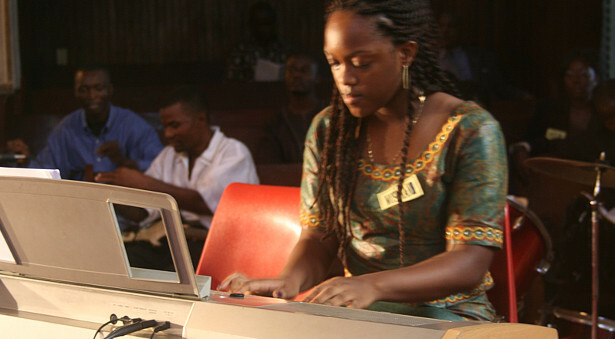 This program uses music and other art-related programs as tools for community development. 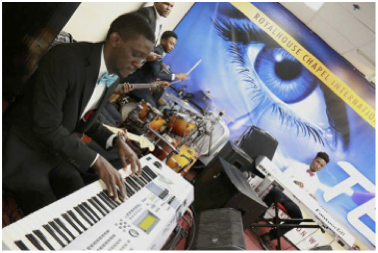 It offers music lessons in a variety of instruments for children, ages 3 to 12. It provides an avenue for enrichment and personal development, fosters peace building and social growth, and provides life skills that contribute to children’s well being to become productive citizens. In addition to playing instruments students can participate in choir and Music Therapy/Counseling. Students are provided food and drinks at this program and classes are held on Saturdays from 1pm to 2pm. ANAM provides 30 minute individual music lessons for all ages and levels of abilities. Students can arrange to have lessons at ANAM or at home. The goals and needs of students are considered individually when placed with instructors. 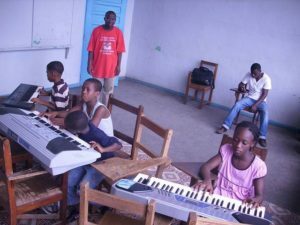 This program offers courses in elementary music theory. Students are introduced to reading sheet music and are asked to choose one instrument as a focus. Upon completion of this program, students will be knowledgeable in the rudiments of music with basic knowledge of their applied instrument. Instruments: Piano, Guitar and Ukulele, Saxophone, Trumpet, Violin, Jazz Drums, Flute and Recorder, Voice, Trombone, Clarinet, and French Horn. In this program, students learn how to play musical instruments by ear without learning to read sheet music. The program introduces students to different chord progressions and how to apply those chords and play thousands of contemporary songs. Upon completion of this program, students will be able to improvise and play basic contemporary songs. This program prepares students to lead worship in churches, provides leadership skills for music and worship ministry leaders, and helps them grow in their walk with Christ. It focuses on foundations of worship, weekly planning in worship, discipleship, leading worship, and more. Upon completion of this program, students will develop a better understanding about their walk with Christ, be aware of their roles as Christian leaders, and be able to lead and plan worship in music ministries. This intensive program prepares students to be accomplished pianists, both in piano solo and accompaniment. Courses cover; piano fundamentals, skills and techniques, repertoires, sight reading, ear training and more. All candidates for this program are required to audition and take a placement examination. Upon completion of this program, students will develop proficiency on the piano, be able to sight read hymns at the acceptable tempo, accompany beginner to intermediate piano literatures, play beginner to intermediate choral music, contemporary songs, and other types of music. ANAM offers classes for students, advance musicians, and organizations that have specific musical needs that cannot be addressed in the other programs. Interested individuals or groups can contact ANAM to discuss their specific case and schedule classes independently.